CityVille : Facebook's New Top Application, Beats FarmVille! 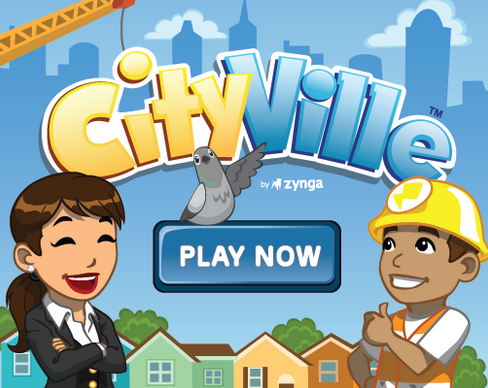 Zynga's new game, CityVille, has just achieved the seemingly impossible. In just a span of a little more than one month, CityVille - a game about managing a metropolis - was able to eclipse its older sibling in Zynga's family of games, long-time #1 Facebook game FarmVille, to become the new leading application in the popular social networking site. The game was announced by Zynga on November 18, 2010, but its Facebook launch date was delayed to around December. Nonetheless, CityVille went on to attract more than 290,000 players on its first day online. Here we can see that CityVille is currently getting around 2 Million new active users per day. This makes the game the fastest growing application on FB as of today. Are you already playing CityVille? What can you say about it? If you haven't played the game, you can check out CityVille via this link.